Turn Left on Westside Blvd. Find your perfect resort style vacation home or zoned short term rental at Windsor at Westside. Explore our collection of grand enw constructoin home designs ranging from 5-9 bedrooms, and 3.5-6 bathrooms with lofts. Enjoy proximity to world-class attractions, the famous Florida sunshine, and abundant shopping and dining. The life you want to live is waiting for you at Windsor at Westside. Explore this community and see for yourself. The Castaway (Interior) vacation townhome design is complete with private pool and courtyard, all in 2,265 sq. ft. of living space. The Castaway (End) vacation new home townhome design is complete with private pool and courtyard, all in 2,265 sq. ft. of living space. The Winstone plan is known for its open feel, private first floor guest room and oversized owner's suite at Windsor at Westside. The Lakeshore is a quaint single-family vacation home featuring 4-5 bedroom suites and oversized game room and loft space in Kissimmee. The Hideaway vacation home features dual Owner’s Suites, large covered lanai with storage space, and two separate living areas for entertaining in Kissimmee. Dual Owner’s Suites and 5 secondary bedrooms make the Seashore new home design come alive when filled with family and friends. Vacation in comfort with the luxurious new construction Baymont's 3 bedroom suites, 5 guest bedrooms, and 6 full baths. The 9-bedroom, 6.5-bathroom new construction home, Clearwater impresses with oversized kitchen, private courtyard and pool, and 675 sq. ft. of game room and loft space. 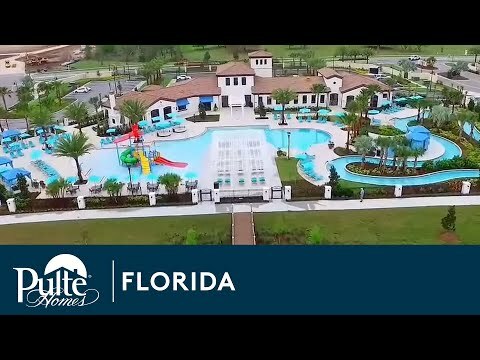 Relax in your resort style new construction vacation home or zoned short term rental in Windsor at Westside’s Mediterranean-themed community and enjoy resort-style amenities, sundries shop, and homes with plenty of storage space in Kissimmee. Kick back at the lazy river, bar and lounge, or break a sweat at the fitness center or sports courts. Windsor at Westside is located just off state road 192 and near highways I-4, US 27, just eight miles from Disney World, Animal Kingdom, and Orlando’s world-famous attractions. Enjoy easy access to shopping and dining at the Prime Outlet Mall or along International Drive. And with just 30 miles from Orlando International Airport, you're never far from your next adventure. Find your dream vacation home at Windsor at Westside. Enjoy our 8 home designs and close proximity to the Orlando attractions.